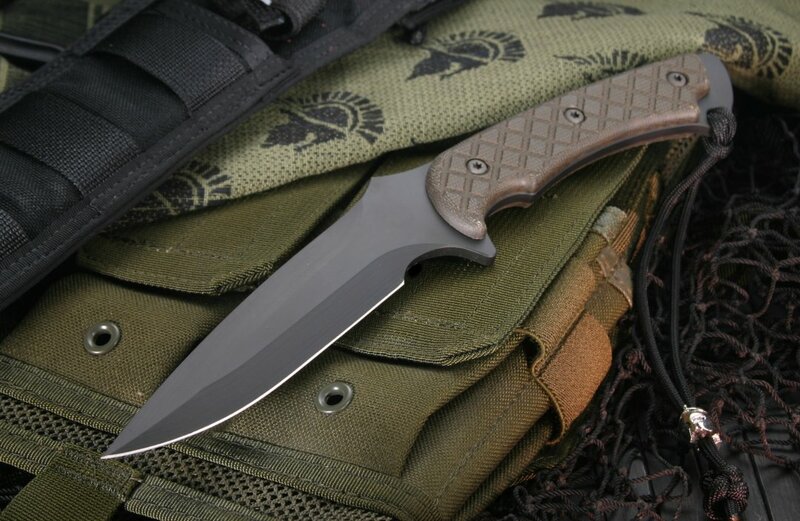 The Ares tactical fixed blade knife was designed by Curtis Iovito and Mark Carey, two former US Green Beret operators. The no-nonsense design is built for heavy use in the field and is overbuilt for a lifetime of dependable service. The knife has a 5.375" long blade with a spear point blade shape and a long top false edge clip. The top of the blade spine features ample jimping for a thumb rest and index finger guard on the handle. The blade is fully is coated with a physical vapor deposition process of Tungsten DLC (Diamond Like Coating) which the Spartan team calls Flat Black SpartaCoat. This coating provides a matte, non-reflective coating and a rust protecting barrier. The handle construction is full tang and is designed to have an exposed tang in the rear of the knife. 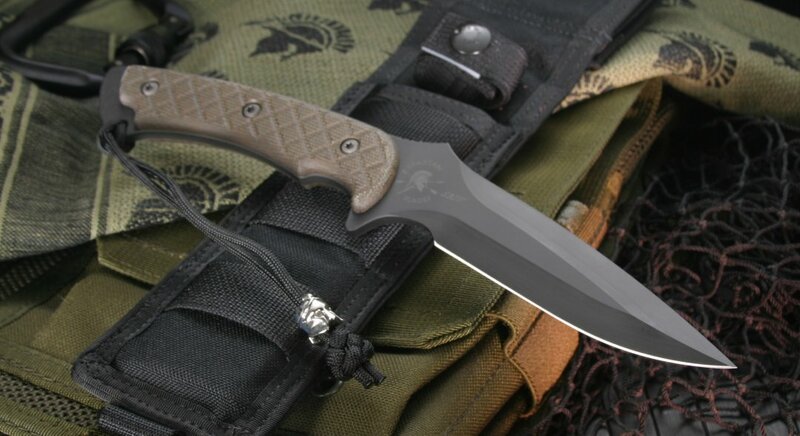 The name of this knife originates from the Greek God of War. 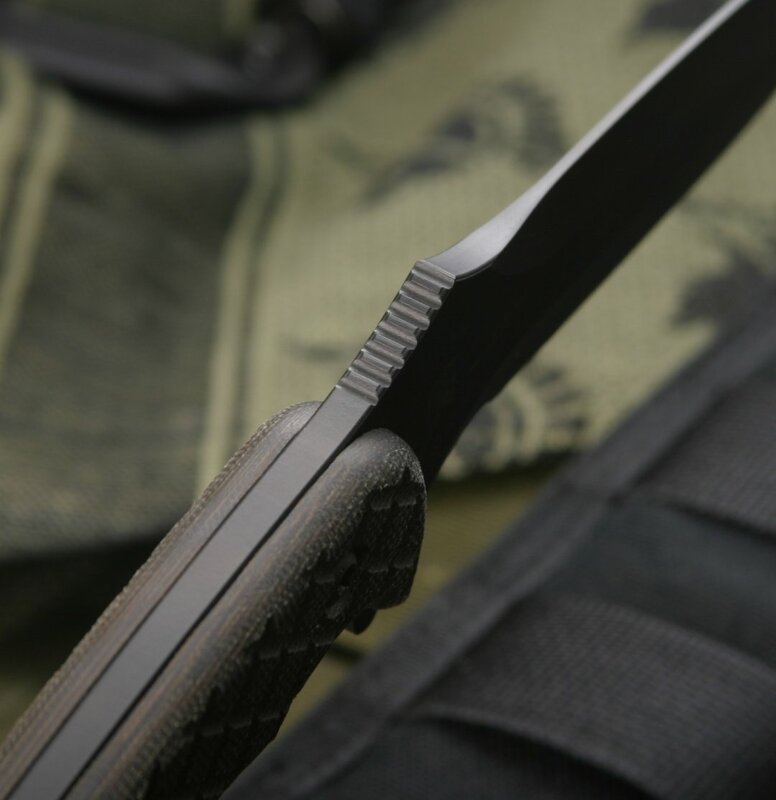 The tactical fixed blade is ready for carrying thanks it Kydex lined, black nylon MOLLE sheath. 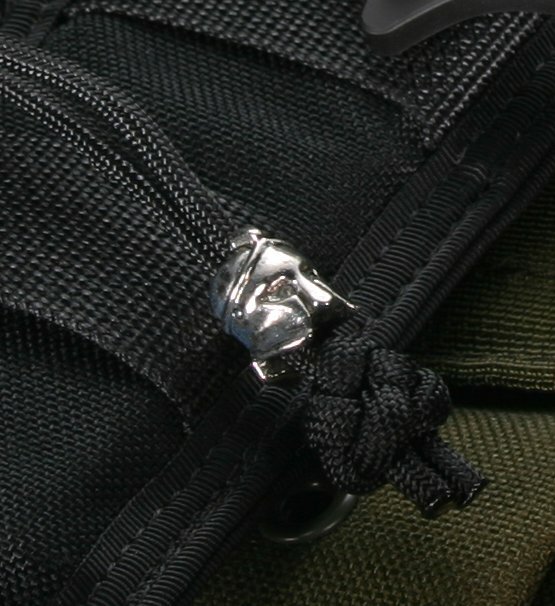 The Spartan fixed blade comes with a lanyard black paracord lanyard with Spartan helmet bead. My new Spartan Ares looks Great, feels Great, and works Great too! 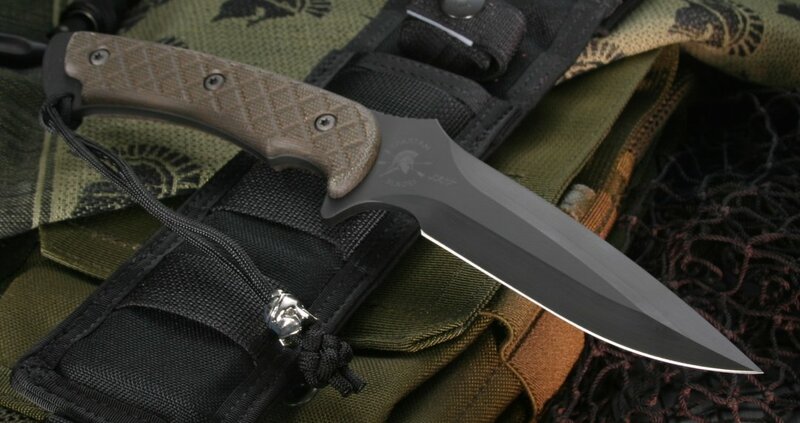 Spartan Blades makes a knife you can be proud to own. KnifeArt shipped my order and I received my knife in only 2 days. I am a very satisfied customer!